Alek Sigley asks Donald Trump to hold off the nuclear bombing of North Korea for his wedding, then consider making peace with Kim Jong-un. Four weeks from now, I will marry the girl of my dreams in Pyongyang, the capital of North Korea. I am from Australia and my fiancé, Yuka, is Japanese. That’s right, an Australian man and a Japanese woman will be having their wedding in the country upon which you threatened to unleash “fire and fury”. Why, you ask? Let me tell you the story of how we ended up in North Korea and decided to have our wedding there, because it contains an important lesson about politics. I first met Yuka in 2011, the year before I first visited North Korea, which eventually led to me founding Tongil Tours, a tour operator specialising in study tours to this much reported – but little-understood – country. In 2013, Yuka joined me on what was to become a fateful journey. This was when I first met my business partner, Mr Ri, and his assistant, Ms Kwak. Since then the four of us have become close friends, sharing meals, jokes and a fair few adventures. We’ve gone on beach trips, climbed mountains and helped each other stumble drunkenly back to our rooms. In times of need, we’ve shared support, advice and inspiration. Mr Ri and Ms Kwak had long asked me “when will we be eating your noodles?”, a euphemistic way of asking when we’d be getting married — at North Korean weddings, guests traditionally eat Pyongyang cold noodles, one of the country’s best-known delicacies. I told them “hopefully soon”. And so Mr Ri suggested that when we did decide to “share our noodles”, we should organise a celebration in Pyongyang, which he’d take care of. This would all appear quite well and normal, until one considers the fact that I am a Chinese Australian from Perth, Yuka was born and raised in Hiroshima, Ms Kwak is a North Korean who spent her teenage years in tropical Havana, and Mr Ri is a proud Pyongyangite. Yuka’s hometown, Hiroshima, was of course ravaged by a nuclear bomb dropped by the U.S. in 1945. Yet today, it is North Korea that brings up the spectre of nuclear apocalypse in the minds of many Japanese people. It is also North Korea’s nuclear program that Japan’s far-right uses as justification to urge for the revision of the “peace clause”, Article 9 of the country’s Constitution. On the other hand, to North Koreans, the days when Koreans became second-class citizens in their own country under Japanese colonial rule still feel like yesterday. North Koreans still remember Australia for its participation in the U.S. “invasion” of their country in 1950 and they continue to distrust our Government for its ongoing participation in what they view as “U.S. imperialism”. A few years back, the Government of North Korea – the Government of my friends Mr Ri and Ms Kwak – requested to re-open its embassy in Canberra. Our Government refused. But politics is politics and friendship is friendship; Mr Ri’s offer was a warm and touching one that I couldn’t possibly turn down. This brings us to where we are now, just weeks from our wedding in Pyongyang. 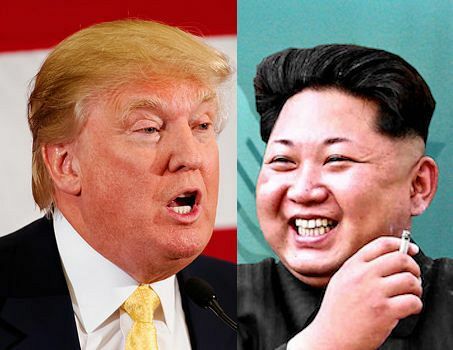 Last year brought unprecedented hostility and tension to the Korean Peninsula, with Washington and Pyongyang trading threats and bringing the world to the brink of nuclear war. Tensions have now died down and the prospect of talks has emerged with the North-South rapprochement at the Pyeongchang Winter Olympics. Encouraging these talks also included a South Korean delegation’s recent visit to Pyongyang, and proposed presidential summits between Kim Jong-un and Trump, as well as those between Kim Jong Un and President Moon Jae-in of the South. Yet some hawks in Washington still argue that heavy sanctions – which both impact the civilian population and hinder the work of aid groups – as well as isolation and even a pre-emptive strike are the only ways to deal with North Korea. But there’s a lesson in all this. If an Australian, a Japanese person and two North Korean people can become close friends and celebrate a wedding together in North Korea, then perhaps it is possible for us to put aside our differences and our past grievances. Perhaps we can understand each other better and recognise that our enemies are, at the end of the day, human beings not too different from ourselves. Mutual understanding is, after all, the first step in turning enmity into friendship. President Trump, I know you’ve said that “all options are on the table”, but please don't even consider pressing that big red button. It would not only have the small and personal effect of ruining the happiest day of my life but, far more seriously, it would cause incalculable suffering to the Korean people. Congratulations! By agreeing to meet with Kim Jong Un, you’ve taken a step in the right direction — towards laying the foundations for the peace that has eluded the Korean peninsula for 70 years. You’ve also reduced the probability of bombs raining down on us and our wedding guests — who will include family and friends from all over the world. For that, I am truly thankful. Our wedding will take place around the time of your summit with Kim Jong Un. It will be a celebration of the power of love over hate, of peace over war, and of friendship and weddings over bombs and sanctions. I hope that just a little bit of this message can get through to you. The names of the North Korean people in this article have been changed to protect their privacy. Alek Sigley is a student of the Australian National University’s College of Asia and the Pacific and founding partner of specialists in educational tourism to North Korea, Tongil Tours. For more on Alek and Yuka’s wedding in Pyongyang, check back at the Tongil Tours blog in the near future.